Sociology is the study of society, or the way groups of people in a community, large or small, interact. This includes the ways in which a group or organization can affect individual decisions and behaviors, as well as the ways in which an individual can influence the group. You’ll learn how to conduct research, analyze data and perform statistical analyses while studying topics such as racism and gender inequality, communities and the environment, religion, drug addiction and mental health. You’ll be prepared for work or further study in fields such as counseling and social services, healthcare, management, education, marketing, criminal justice and government. 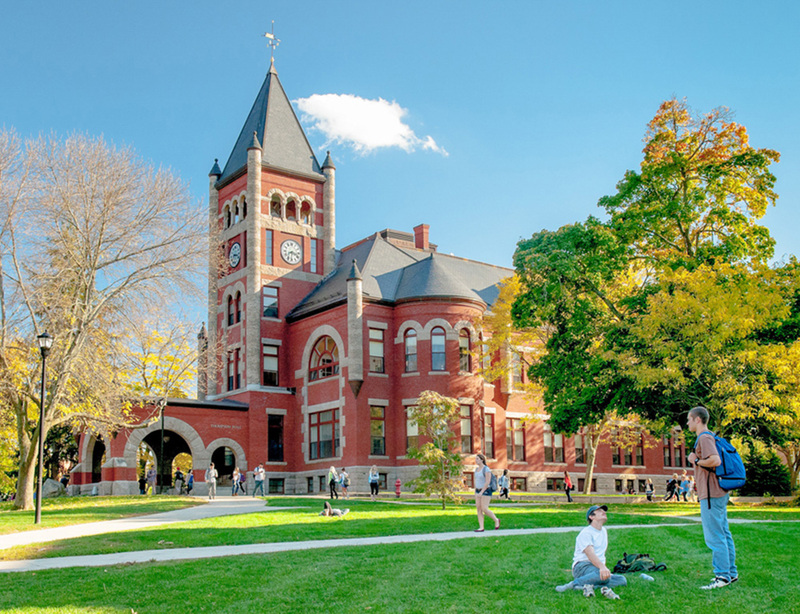 Why study sociology at UNH? The sociology degree program at UNH will prepare you to succeed in an increasingly diverse, global and technologically-driven world. The program promotes scientific inquiry, digital literacy and cultural awareness. It helps you hone creative thinking and written and verbal communication skills. You’ll have opportunities to work closely with faculty on their own research projects, and through independent study. Perspectives, the student-run digital journal, publishes student work each spring. We’ll encourage you to expand your perspectives through study abroad in one of the many UNH-approved programs, including the UNH Budapest program, which is run by UNH faculty and focuses on justice studies. Majoring in sociology provides a solid, multifaceted foundation in the liberal arts, including analytical thinking and writing, and skills in collecting and analyzing data. Students learn diverse theoretical approaches to the social world and acquire tools for conducting and understanding social science research. The wide range of substantive areas taught in the UNH Department of Sociology include courses concentrating on family and work; environmental sociology; social policy; inequalities of race, class, and gender; criminology, social control, and deviant behavior; medical sociology; and religion. Undergraduate training in sociology is an excellent background for a variety of careers, including the business world, where majors might work in marketing and sales or human resources; government and nonprofit services, where majors might work in education, health services, social welfare, or criminal justice; and research. An undergraduate degree in sociology is also excellent preparation for graduate work in law, social work, criminal justice, counseling, public administration, public health, business administration, urban planning, or further studies in sociology. To declare a major in sociology, students must have completed at least one introductory-level sociology course with a grade of C or better. New students who declare the major upon admission to UNH must enroll in SOC 400 Introductory Sociology during their first semester and earn a grade of C to maintain status in the program. Conjoint minors (allowing double-counting of one or two courses) are available for justice studies; gerontology; American studies; race, culture, and power; women's studies; and other approved minors. Students also have the opportunity to pursue a second major, including justice studies. Students interested in social work or teaching can develop programs in conjunction with the appropriate departments. The departmental honors program is recommended for students with cumulative grade-point averages over 3.4, and especially for those anticipating graduate study. Majors must complete a minimum of 40 semester credits in sociology courses with grades of C- or better in each course and a GPA of 2.0 or better in sociology courses. SOC 599 Sociological Analysis must be completed no later than the junior year and is a prerequisite for majors taking 600- and 700-level courses. Complete SOC 611 Sociological Theory during senior year. Candidates for a degree must satisfy all of the University Discovery Program requirements in addition to satisfying the requirements of each individual major program. B.A. candidates must also satisfy the foreign language proficiency requirement. Students interested in majoring in sociology should consult with the chair of the undergraduate committee in the sociology department for guidance. It is the responsibility of all sociology majors to obtain the latest information from the department office. 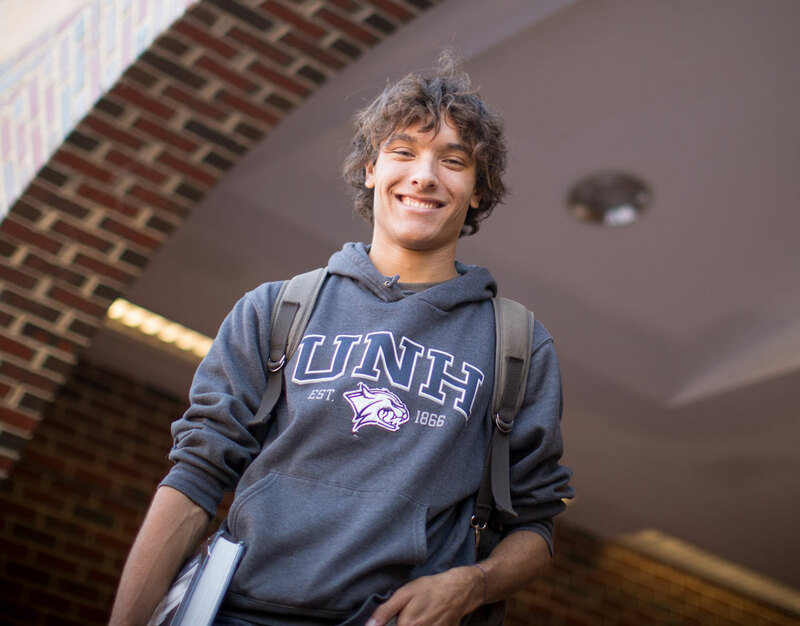 The bachelor of arts degree at the University of New Hampshire requires that students satisfy the foreign language proficiency requirement. The requirement may be met by demonstrating language proficiency equal to a one-year college-level course (401 and 402, 403 and 503, 501 [Latin only], or 503 and above in a spoken language). American Sign Language courses do not meet the foreign language requirement for sociology majors. The Department of Sociology requires all students declaring the major after fall 2006 to choose from one of the following languages: Arabic, Chinese, French, German, Greek, Italian, Japanese, Latin, Portuguese, Russian, and Spanish. Exceptions to this list must be petitioned and approved by the Department of Sociology's Undergraduate Committee and a student's adviser.